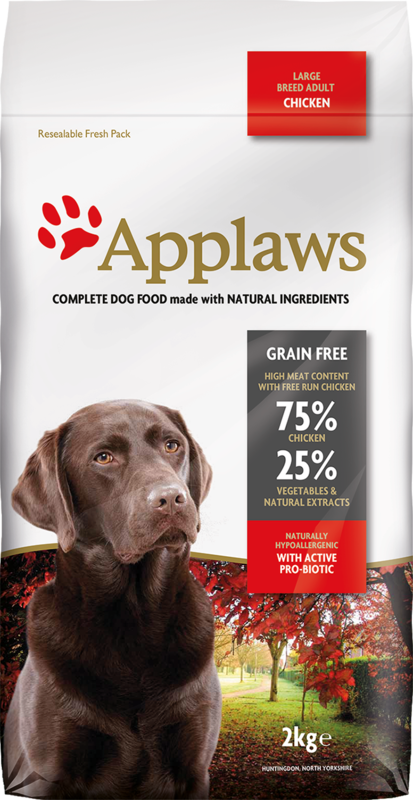 Applaws complete dry dog food is specially formulated for the health and wellbeing of large breed adult dogs. Grain free Applaws is made with 75% protein-rich chicken so it’s low in carbohydrate. This can encourage the development of lean muscle tissue promoting a healthy weight for your dog.